So on Saturday, January 25th, I'll be holding a Card Buffet and this one of the six cards you can make! Very cute! 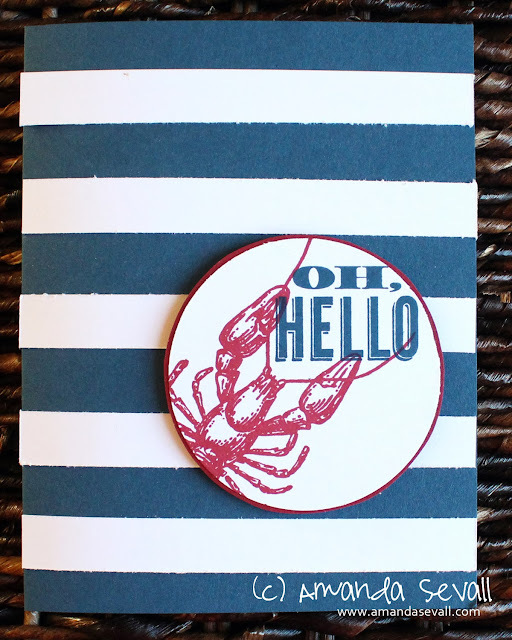 Who knew a lobster could be so versatile?! Such a fun card! 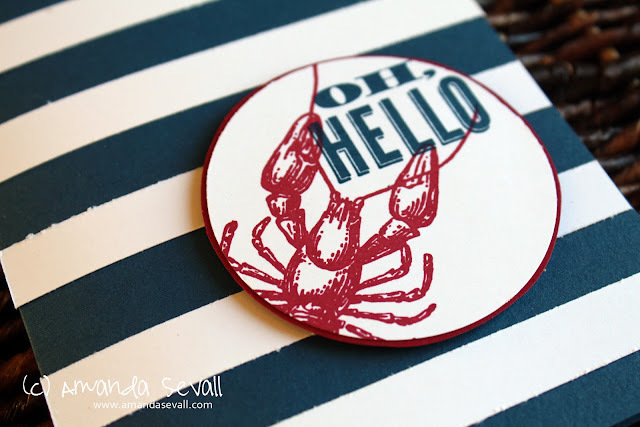 I love the colors you used and the way you used the lobster stamp!!!! How did you make the striped paper? Thanks.